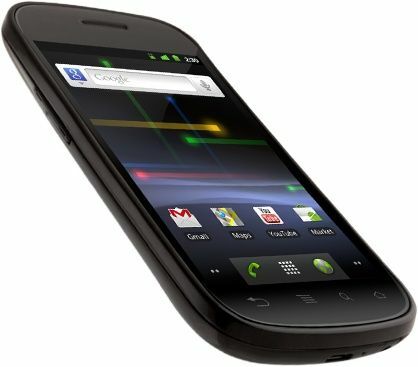 Google have finally lifted the lid on their next smartphone with the Nexus S, which launches with Android 2.3 Gingerbread later this month on T-Mobile. But is it on par with the specs of Apple’s own smartphone, the iPhone 4? Starting with the Nexus S, a joint venture by both Google and Samsung, they continue the on-going trend of big displays with a 4-inch Super AMOLED display with a 480 x 800 resolution. Samsung have also gone one further by featuring what they call a “Contour Display”. In basic terms, it is a curved screen that is meant to sit better next to your face when making calls and whilst typing. Compare this to the iPhone, that has a smaller screen at 3.5-inches, but have more pixels-per-inch with a 640 x 960 Retina display resolution. In many respects, the phones are very similar from here on in. They have the same speed processor (1GHz) and same RAM (512MB), and both have 5MP cameras. 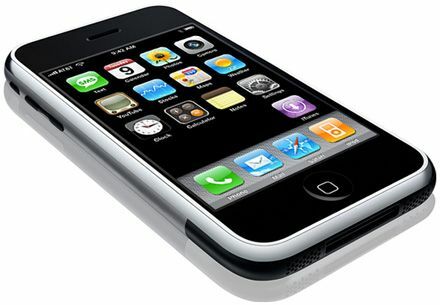 Although the iPhone 4 has the option of recording 720p HD video at 1280 x 720 pixels, whilst the Nexus S can only manage DVD-quality video at 720 x 480 pixels. I say “only manage,” but it is still good none the less. One disappointing feature that the Nexus S comes with (or doesn’t come with) is the ability to expand your storage. The device comes standard with 16 gigabytes of internal space that is non-upgradable and does not have a microSD slot. Therefore, it matches that of the Apple who also have 16GB’s of storage. Other features to make note of are that both come with multitasking, copy & paste (sorry Windows Phone 7 users, but you will be getting an update very soon! ), and tethering support. The iPhone does miss out on Flash support, and the ability to connect to Wi-Fi hotspots though. Samsung have also taken the leap in to the future with support for the latest phone technology — NFC. Near Field Communication allows you to read certain information from objects that have an embedded NFC chip. This feature could be the interesting one to look out for. If it really takes off, the Nexus S would have the pride knowing it was the first phone with the feature, and might be something all could follow very soon. It then comes down to price. Potential US buyers will be able to grab the Nexus S on T-Mobile for $199 on a two-year contract or $529 unlocked. If you go back to what I said about storage earlier, you can also get the iPhone 4 for the same price, and same storage on AT&T. Whichever way you look at it, the Nexus S does not have any iPhone 4-killer features that would make you jump ship from one to the other, although the NFC integration is a compelling feature. Still not satisfied? You can find out more information about Android 2.3 Gingerbread, the OS that will ship with the Nexus S here with a hands-on-video. For all other Nexus S related news, click here. After our little comparison battle, which phone do you think wins and why? Will you be dropping the iPhone for the Nexus S? ok when he says that iphone cant connect to hotspots, he just refering to the way in which an android phone can become a wifi hotspot for other phones and computers. you can get anything and everything on the iphone! Google platform does not do Persian or Urdu. That's 200 million people. Try reading some of the reports on iranian.com. "The iPhone does miss out on Flash support, and the ability to connect to Wi-Fi hotspots though." The iPhone can connect to Wi-Fi hotspots. What are you talking about? Previous article Google eBookstore: App out now? Google eBookstore: App out now?